Limited edition one- off sample. 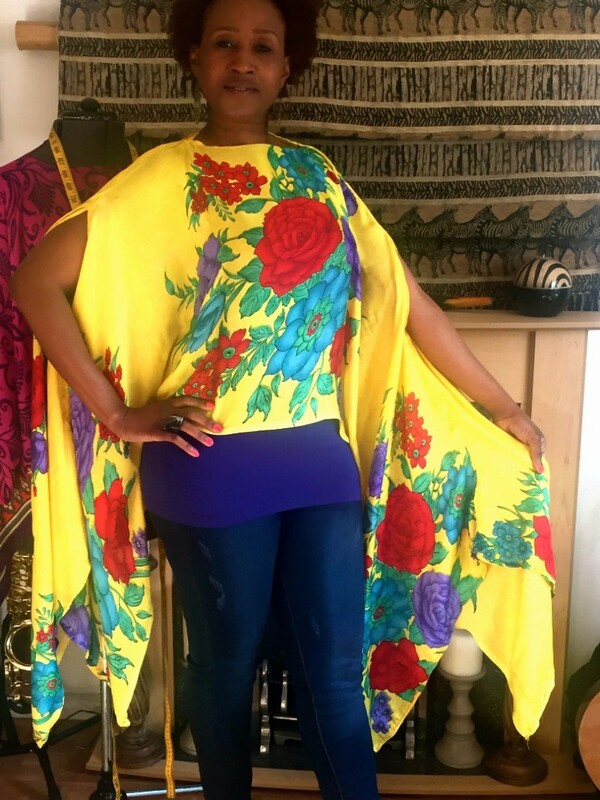 Yellow floral cape top with sleeves and long lengths of gorgeous materials that hang lose to cover the hip area. Please note samples do not have designer labelling.